Located in the heart of the White Mountain National Forest, Waterville Valley may be better know today as one of the top ski destinations in New Hampshire or for its world class tennis academy that dates back over 130 years, however, they have also been swinging the clubs in Waterville since 1898. In the early years Waterville Valley was primarily a summer destination resort but over the years, with the expansion of the cross country and alpine ski trails, the Valley has established itself as a premier four season destination. Summer visitors enjoy the 18 clay courts at the Tennis Center, roller blade sports park, indoor and outdoor swimming pools while outdoor enthusiasts flock to the area known for its scenic hiking and mountain biking trails that weave through the valley and hills. The Waterville Valley Golf Course was opened at the turn of the century when a group of vacationing guests took it upon themselves to hand pick rocks from a valley floor pasture and the first few holes came to be. 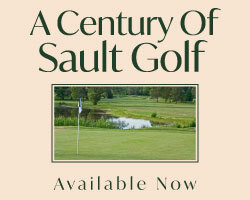 In 2005 the owners at the time, The Waterville Company, completely renovated the course. Although only three of the originals holes remain the new design kept the spirit and flavour of the historic layout intact. The opening hole and holes six through nine are flat affairs located on the valley floor with the second green and holes three through five built into the side of the foot hill and contain substantive elevation change. The vistas from the fairways offer stunning panoramic views of the surrounding 4,000 foot White Mountain peaks. Ownership of the course recently changed hands with local businessman Craig Larson taking over the reins in the spring of 2015. Ranging from 1383 to 1700 yards, this nine-hole par 30 layout features three par 4’s and six par 3’s attracting juniors, families and novice players alike who are looking for an enjoyable hour or two with family or to hone their burgeoning skills. 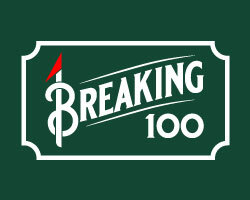 Players of higher skill will also enjoy an outing here as it will afford an opportunity to work on mid and short iron shot making and the green surfaces are first rate (Larson takes enormous pride in his green conditioning and it is a common site to see him tending to the green by hand removing Poa, and other invaders, from the putting surface). For those considering making Waterville home base for their stay & play junket into the White Mountains the accommodation options in the village are numerous and varied at the Golden Eagle Lodge, Black Bear Lodge, Valley Inn, Best Western Silver Fox or the Village and Town Square Condominiums. 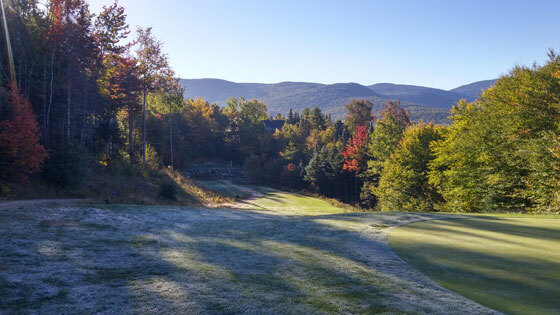 Within a 60 minutes drive of Waterville you will find several course worthy of a visit such as Jack O’Lantern Resort, Owl’s Nest Golf Club, White Mountain Country Club, Ridgewood Country Club and Waukewan.